I think Walt Disney was probably the best at bringing dreams to life. He was my hero at one point in my childhood. Lying on the floor in front of the TV, chin propped on my palm, I watched Tinkerbell flit across the screen, depositing fairy dust on everything. 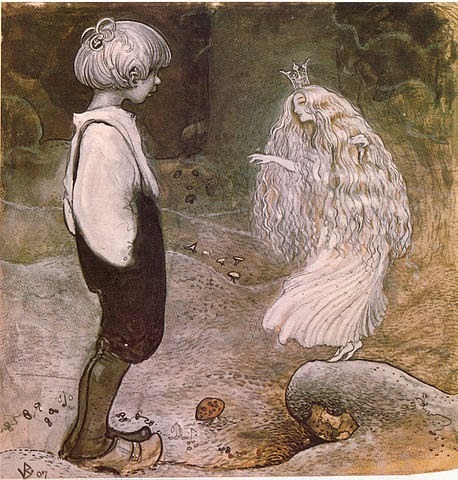 The fairy dust brought dreams to life. It was magic. Inspiration took root in my young heart. I was a dreamer. Over the years I spent a lot of time on my own as we moved from one place to the next. I was shy, so it was difficult for me to make friends. On the inside, in my “happy place,” I had lots of friends. My own creations, or characters I’d first met on the black-and-white TV screen. Lively characters who made me laugh and loved me, even though I was a bit odd. They traveled with me, back and forth across the United States. I grew up, married, and raised three sons, and still the dreams inhabited my down time. In 2005, Jael drifted into my mind. I tell a little of her story here. 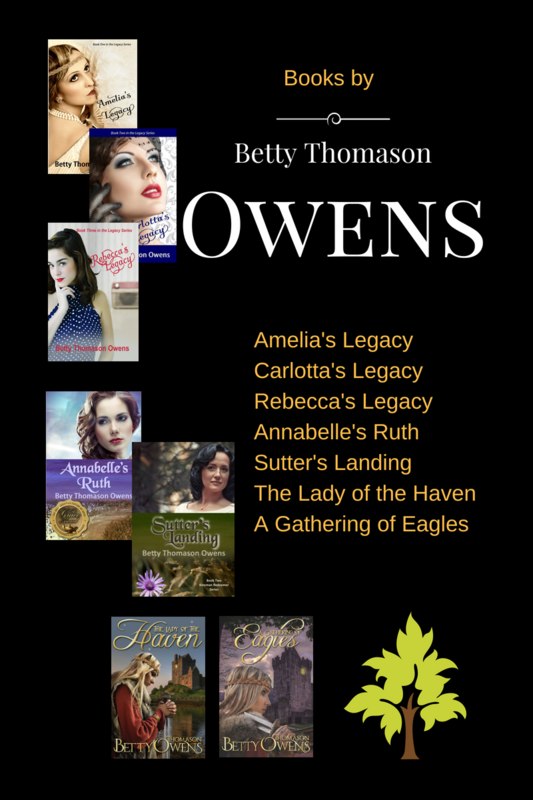 In preparation for the re-release of The Lady of the Haven and A Gathering of Eagles, I thought it might be nice to interview her, as many of my author friends have done with their main characters. But Jael is a bit like Tinkerbell. She’s illusive. And she doesn’t like to talk about herself. And she will not discuss her rather unusual gifts. So I decided to interview William instead. Me: Welcome to my blog, Your Majesty. King: I am honored to be here, Lady Owens. (End of Excerpt) OK. Stop back in next week to see what this king has to say about his lady. I’ll also be previewing some of the really nice gifts I’m offering at the re-release of the books. 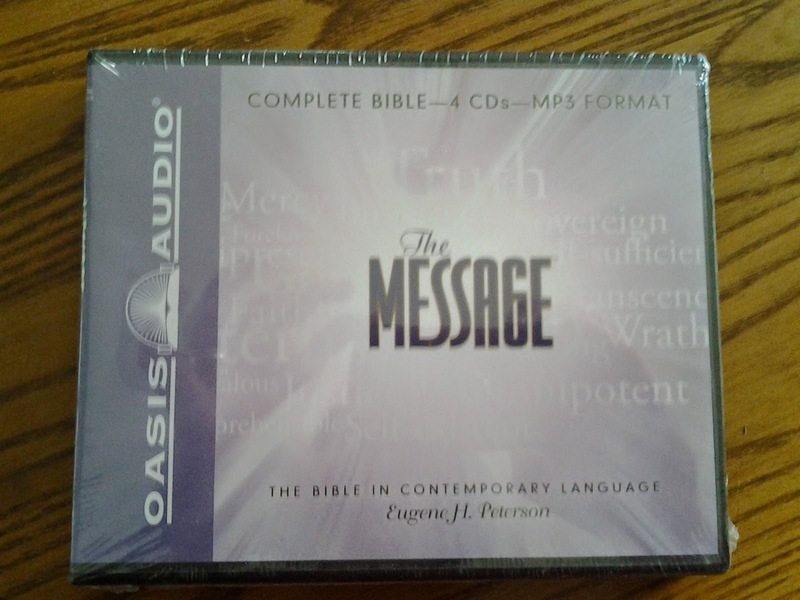 Here’s my grand prize: Audible version of The Message Bible. You’ll love this easy-to-understand version, and now you can take it with you everywhere. Listen in your car or on your I-Pod or other devices. Watch for more information coming in the next few days. “Like” my Facebook page to stay up with all of the latest announcements about these books and other books I’ve written. I do have a book due out later this year from Write Integrity Press: Amelia’s Legacy, Book One in the Legacy Series, a historical novel set in the 1920’s. I’ll tell you more about that one in a few weeks. Thanks, Jennifer. Sometimes they seem more like nightmares, but we'll get there!